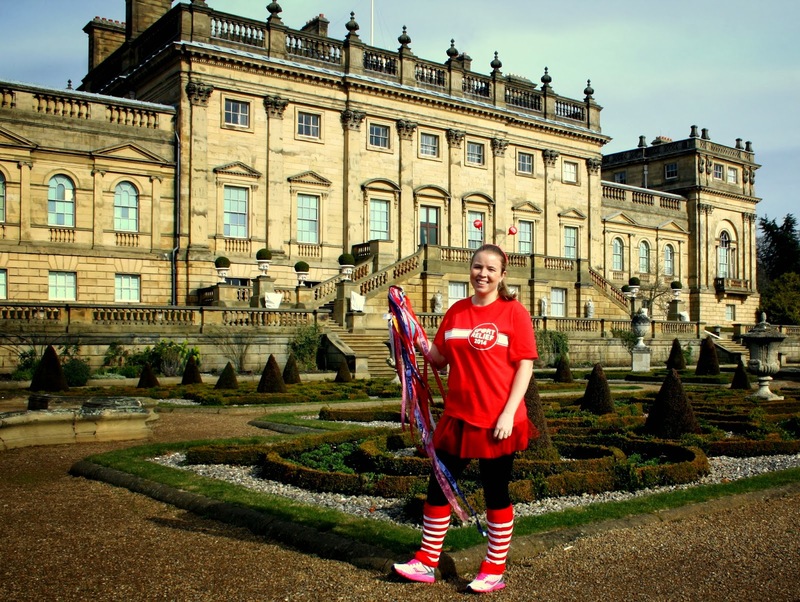 Team Honk Baton Relay - The beginning of Team Bradford's leg! 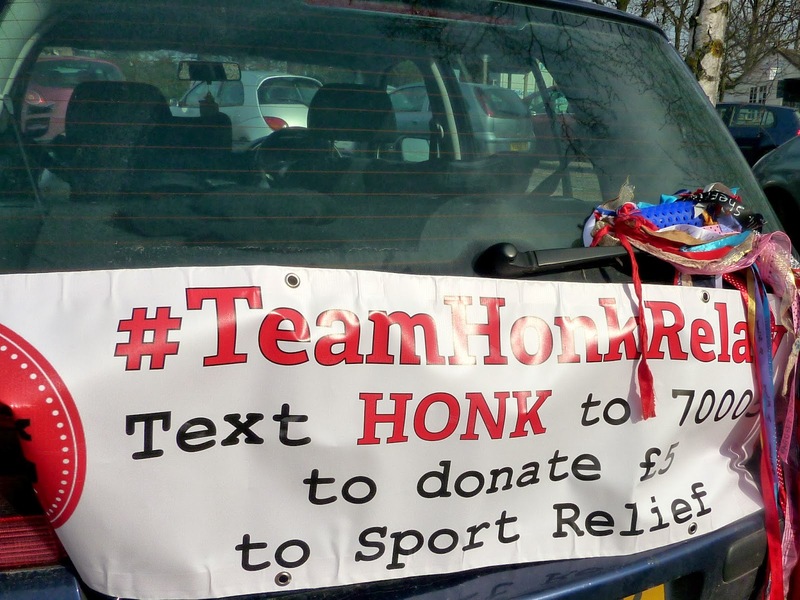 This year, I am sure it hasn't passed your attention that Team Honk are once again raising money for Sport Relief. This year they came up with the slightly crazy idea of a blogger relay, going from Lands End to John O'Groats. The idea being that there are enough bloggers across the UK to do crazy stunts to get a baton to travel the length and breadth of the country. And obviously us bloggers responded and there were enough of us (just) to complete the route. I feel very privileged to be part of the relay. Here's the story of my leg of the route. When I had received the baton, I used a banner which had also been handed over to me to pimp my ride. I figured it might excuse the fact that I was dressed rather strangely inside my car! Once I had made sure it was safe, I set off for Harewood House. 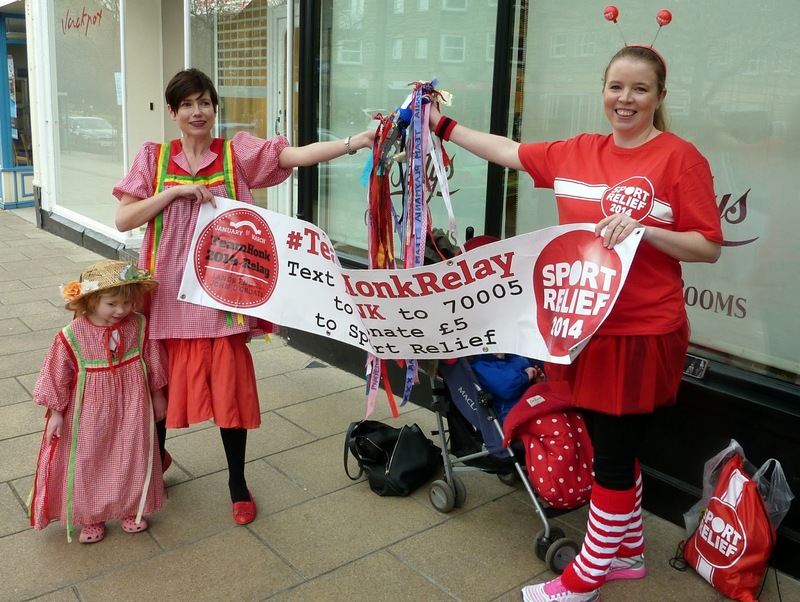 If you haven't yet donated to Sport Relief and you would like to, then why not sponsor Team Bradford for their leg of the Team Honk Relay - you can do so here. Or alternatively, you can text HONK to 70005 and donate £5 to Sport Relief. I have never visited Harewood House before and it is absolutely stunning. The house is simply magnificent. I felt a little awkward because it is still closed to the public, so I was wandering around by myself and trying to set my cameras to take pictures of myself! When I reached Betty's for the handover to Kirsty from EehBahMum, we were getting some very random looks! Especially when we went and got a cup of coffee together! Thanks to Team Honk for arranging such a crazy plan! I am so glad that I got to take part. Well done to everyone who has taken part so far and good luck to those who have yet to do their leg of the route! If you want to join in with Sport Relief, you can do. 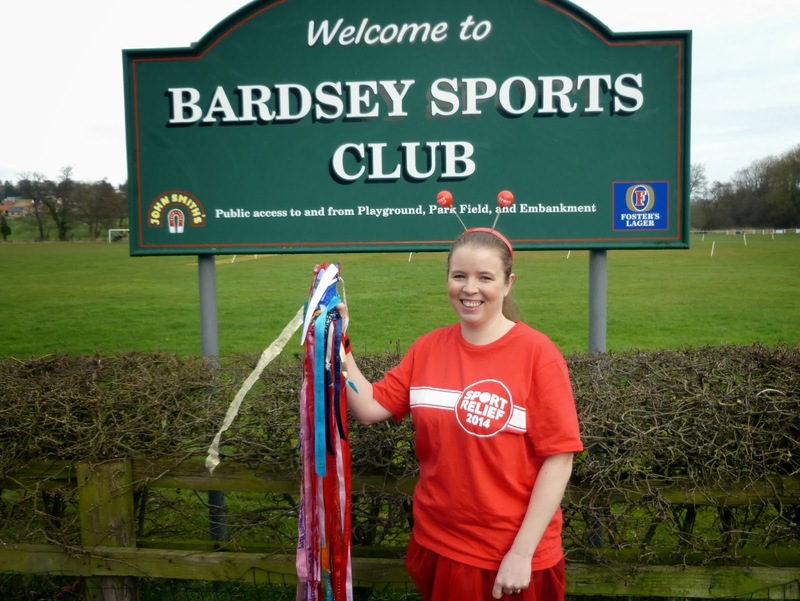 This year the first ever Sainsbury’s Sport Relief Games take place from Friday 21st to Sunday 23rd March 2014. The public can join the fun and games by running, swimming or cycling their way to raising cash at over a thousand venues around the country, including the landmark events at Queen Elizabeth Olympic Park. Here is my vlog from the day. Enjoy!